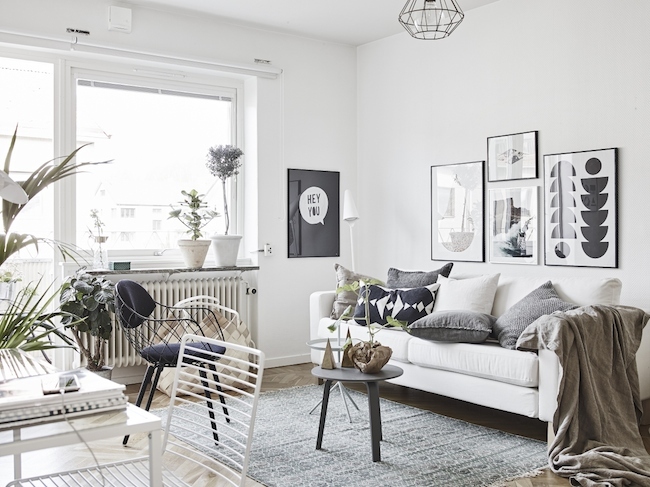 Today I'm taking my inspiration from this small space in Gothenburg, Sweden. Black, white and plenty of plants. Such a simple combination and yet so striking. I particularly love the dining area which is awash with natural sunlight and fresh flowers. I could wile away a day here, how about you? Stadshem. 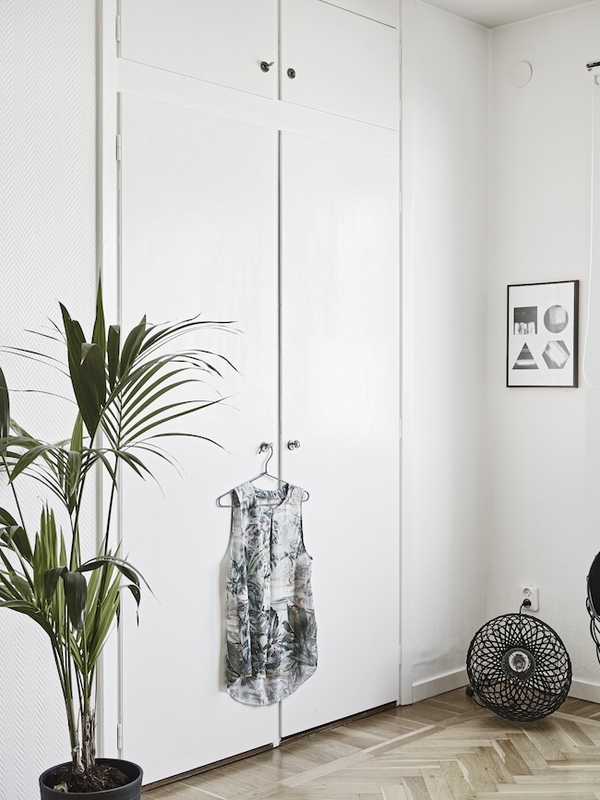 Styling - Emma Fisher via Inspired by a post on Coco Lapine with thanks. Lovely! I do love my black and white homes, how about you? A few items I know and love - the Vitra wire chair is similar, HAY Bella table, THE POSTER CLUB sells many of these prints. The golden bell light is similar to the brass one in the dining space. 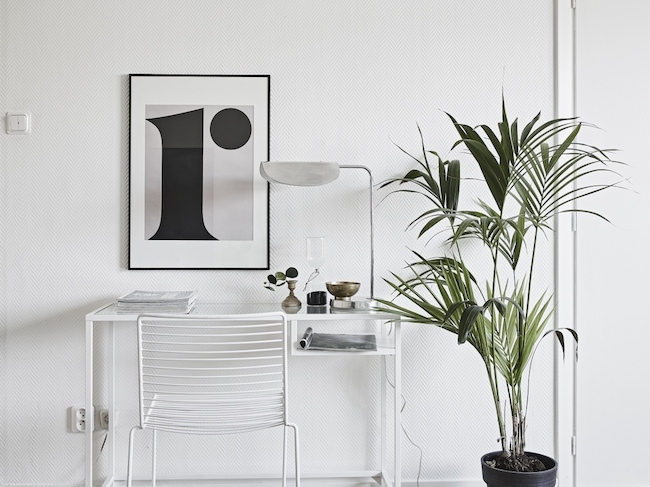 PS If you're up for a little shopping today Lo + Behold are offering all My Scandinavian Home readers a whacking great 20% off all items until the end of May with code MSH20. If you've had your eye on something from the likes of House of Rym, OYOY or Ferm Living (to name but a few) now's your chance! I love the chairs...all of them in this flat. Amazing! What a dream, this place! Wow! Very inspiring! I love everything about it! Great space! Love all the details and the chairs are always a classic. Love this apartment. Any idea where the sofa is from? Or recommendations of similar ones?